It seems the video game industry has a fascination with the Remaster, a phenomenon where games that were released on last gen hardware are given a spit and polish and released on current gen hardware. 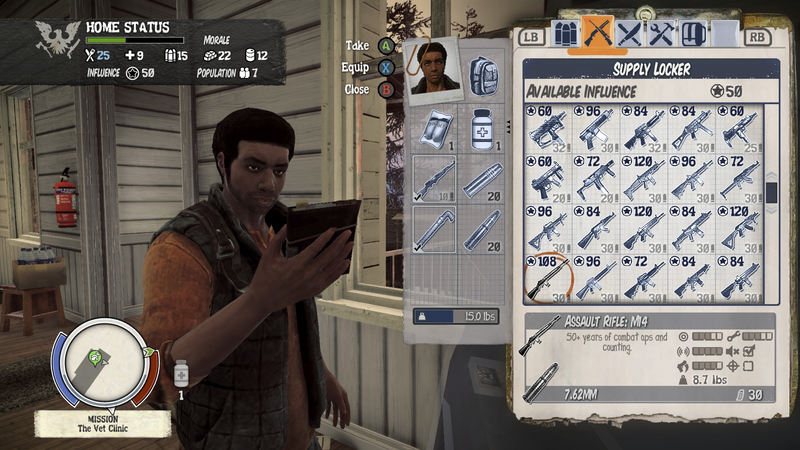 Resource management: In State of Decay, it’s not just about smashing zombies. It’s also about managing your scarce resources. One of the latest to receive the Remaster treatment is State of Decay, a game that originally released on the Xbox 360 (and later Windows PC), and while it still has the game play that made the original fun to play I really don’t think it deserved the Remaster treatment. Set after the outbreak of a zombie apocalypse, State of Decay did things a little differently than just task the player with smashing his or her way through countess hordes of shambling undead to reach objectives in that the player had to lead a band of fellow survivors and consider things like morale and trust, base defences and dwindling resources. 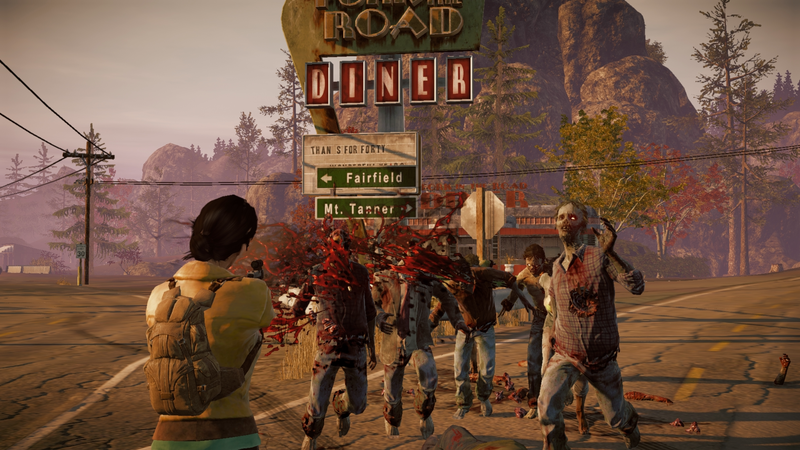 Zombie smashing: OK, there is a lot of zombie killing in State of Decay. Yes, you can bash an approaching zombie in the face repeatedly with a stick – and you will, often – but you also have to consider that bashing said zombie will make a lot of noise – potentially attracting nearby zombies – so do you want to take that risk? What I liked about State of Decay was that killing zombies wasn’t the focus. The focus was assessing situations, building defences and collecting resources (food, ammunition, building materials) to help your survival. Players can build bases, defend them then relocate if the current base is overrun by the undead. The game is all about finding other survivors and making things work (or not, depending on the direction you want to go), rather than piling up the bodies. So, the Xbox One version is just as much fun as the Xbox 360 version for game play, and being a remaster must mean that it’s got all matter of graphical wizardry to herald its appearance on new hardware? Well, not exactly, and if I’m being honest, while the graphics might have received a bit of a tart up, I actually thought I was playing the Xbox 360 version at times. It suffers from low resolution texture, and even has some of the original game’s technical issues, like constant clipping and weird AI quirks of NPCs. One chap was so keen to descend the ladder that I was descending that he passed right through me! And that surprised me because for most Remasters, the power of new hardware promising shiny eye-popping resolutions is the draw card but for State of Decay that doesn’t seem to be the case, despite apparently now outputting at 1080p. Yes, yes, it also has new Achievements and supports the Xbox One’s game DVR function but still I expect more from a game labelled a Remaster. This new version does have bundled DLC, new weapons and some other stuff, but ultimately, it’s not enough to warrant a repurchase if you’ve played the game before,, despite it being fun. Make no mistake, State of Decay Year One Survival Edition is a lot of fun, but it’s not worth an upgrade for those who have already played it before. It’s a Remaster that wasn’t needed and if you already own it on Xbox 360, fire up that console and play it on that instead. State of Decay Year One Survival Edition’s target audience is players who haven’t played State of Decay at all. Those are the people who will be attracted to the game, keen to play a different take to the zombie genre where the focus is survival, resource management and the tough decisions that go with that rather than piling up the bodies.